See where Jim is speaking next – or invite him to present at your next meeting! Jim Charlier, (716) 884-3274, or email here. $150 local. Out of Buffalo Niagara, negotiable. Travel outside a 30-mile radius by car subject to mileage expense of 55.5 cents per mile. Other travel arrangements and overnight accommodations expenses to be determined. Presentations are one hour PowerPoint/Keynote show and talk, with handouts. I will come prepared with an Apple Keynote/PowerPoint presentation on a MacBook Pro laptop, and all appropriate connectors to work with any standard projector. I will also bring a back-up projector. I would require an outlet/multiple outlet surge protector for power for both projector and laptop. A screen or blank, light wall is fine in a room that can be made appreciably dark. One of the tourism industry’s fastest growing segments in size and scope is a surprising boon to a region’s image as well as neighborhood improvement and invigoration — and has an impressive economic impact. See by example, Buffalo’s burgeoning horticultural tourism industry including garden tours, bus tours, Open Gardens, contests, speaking events, garden education, a garden art sale, and more. About one hour. See and hear how a block club garden tour with 29 gardens became America’s largest garden tour — an event called, “the best of its kind” — with 400+ gardens and an estimated 55,000 visitors. Presentation includes photos of Buffalo gardens that have appeared in more than 40 national publications including Fine Gardening, Martha Stewart Living Online, Horticulture, Garden Gate, Great Backyard Gardens, Real Gardens, Better Homes & Gardens’ Garden Ideas and Outdoor Living, and more. 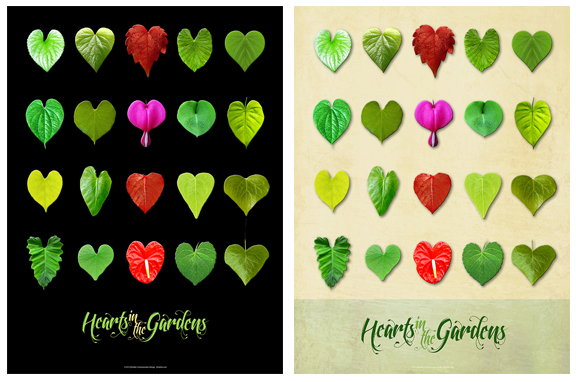 Along the way there are garden tips gleaned from Buffalo’s gardens. Garden Walk Buffalo map handout. About one hour. Practical tips on starting a garden tour, or taking your current garden tour to the next level. Subjects covered include soliciting gardens, finding sponsors, creating maps, promotional materials, press releases and press kits, websites, social media, event planning, setting up a headquarters for the event, insurance, partnering with a visitors’ bureau, survey/research collection, and more. Handouts included. About an hour. 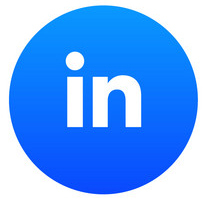 Private consultations, as a marketing professional, available for individual groups based on an hourly rate of $100/hr. Extensive travel has garnered images and anecdotes from botanical, residential, palatial, experimental, artistic, classic, famous, and fun gardens from around the U.S. and Europe. Chelsea, Disney, Alcatraz, Lurie, Giverny, Keukenhof, Sissinghurst, the Vatican, Longwood, and dozens more, create a whirlwind of desire to get out and explore the world’s gardens. About an hour. There’s English-style gardens, Japanese-style gardens, French Baroque-style gardens, Cottage gardens and more. The Atlantic Magazine coined the term “The Buffalo-style garden” as a standout style of gardening unique to Western New York State. A Montreal garden writer suggests it is the first and only true garden style to emerge from North America. What is it? It’s a garden infused with reclaimed, found or re-purposed art, grassless front yards, informal bountiful expressions of a non-professional gardener‘s interest and passions. 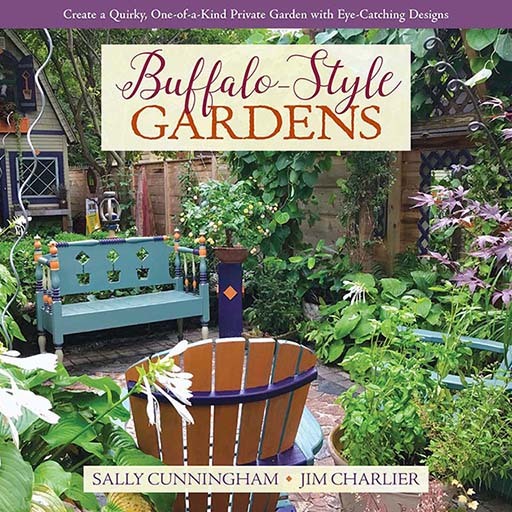 Be led through gardens from around Buffalo Niagara and find ways to incorporate what you learn so you can create your own Buffalo-style garden. About one hour. Through samples of my own photography, how to craft better photos out of gardens. Having had photographs published in magazines from Fine Gardening, to Horticulture, as well as published in a few books, including my own photo-heavy book, Buffalo-style Gardens, I can share what I know works. For a non-photographers, beginning photographers, and folks that just want to get a better shot. NOT technical, not for expereince photographers. GWA The Association of Garden Communicators Annual Conference, Chicago, Il, Garden Tours, Organizing, Impacts and Inspiration Roundtable Discussion. America in Bloom Symposium & Awards, San Luis Obispo, California, 2016. Garden Tourism Conference, Toronto, Ontario, 2015. Garden Tourism Conference, Toronto, Ontario. Leaf online magazine, “Flower Markets – Amsterdam Netherlands Bloemenmarkt,” Spring 2012. Real Gardens magazine, “Start a garden tour,” Summer 2011. The Buffalo News, “Our Generous Gardeners make Buffalo a Destination,” Thursday, July 28, 2011. INTERVIEW Buffalo Rising online magazine, “Garden Walk: Interview with Jim Charlier,” March 19, 2011. INTERVIEW Buffalo Spree magazine, “716 Q&A – Jim Charlier: Talking the talk about walking the (Garden) Walk,” June 2010. People Places Plants, “Communicating Horticulturally” Spring 2008. This Old House Magazine, “Small Wonder.” an eight-page spread, June 2017, see online version here. The Buffalo News, “New Ideas from Creative Gardeners,” August 5, 2016 with accompanying online slideshow.